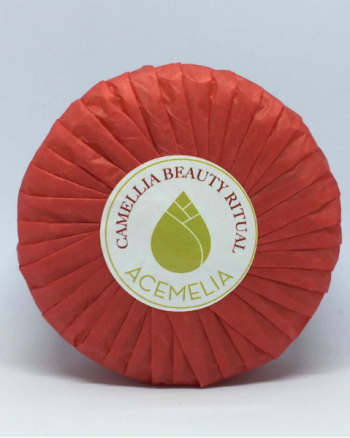 Camellia oil Soap. Made with 100% natural ingredients and traditional way. 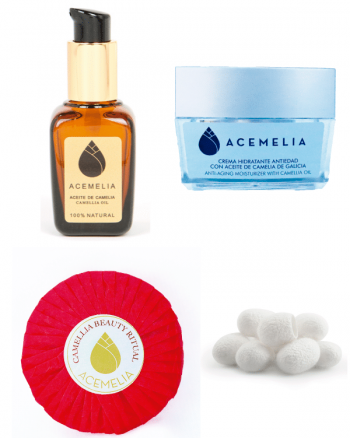 Deeply moisture your hands thanks to the high moisturizing power of Camellia oil and other vegetable oils. 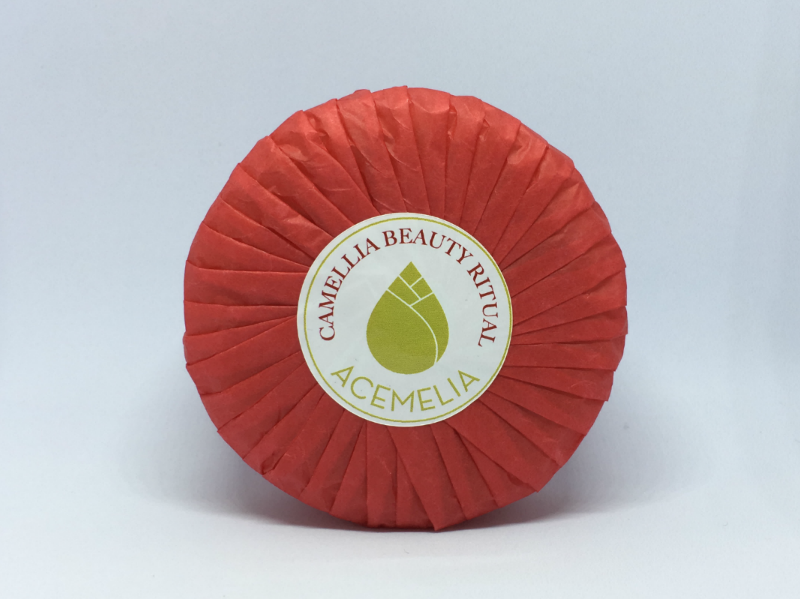 Acemelia SOAP deeply moisturizes hands thanks to the high moisturizing power of Camellia oil complemented with Shea butter and avocado, coconut, olive, Castor and Palm oils. All the ingredients used for this Soap are natural. Aroma light to bergamot, citronella, lemon, lavender and patchouli which lingers in the hands with a pleasant floral fragrance.